If it’s anything like the forests in Howl’s Moving Castle, Spirited Away, Nausicaa, Totoro, and Princess Mononoke, then this should be awesome! According to sources, Miyazaki is investing 300 million yen (about $2.5 million) into the park, according to The Atlantic. Miyazaki is teaming up with local design firm Kume Creation to bring the vision to life. 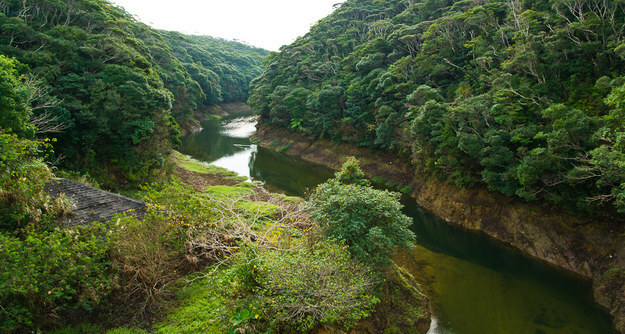 The park will be spread out over 10,000 square meters located in the Zendo Forest Park on Kume Island in Okinawa, Japan. The famed story teller also plans to include a natural playground, a library, and sleeping quarters for about 30 people. Unlike Disney who goes big with its animated characters, Miyazaki is creating a magical place that is only meant to be experienced by a limited amount of people. The park is set to begin construction in 2016 and officially open in 2018. You rock Miyazaki!